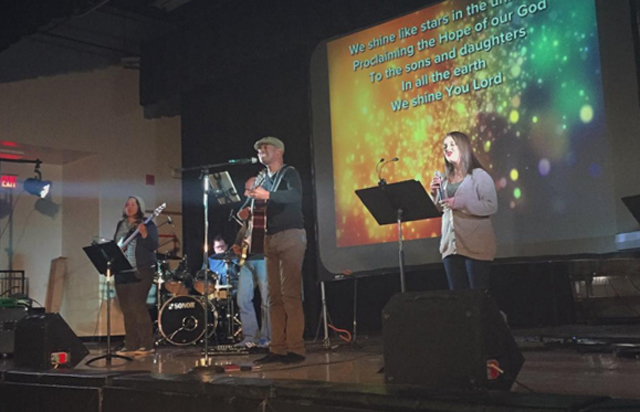 Two Grace Brethren congregations in Ontario have voted to merge. In doing so, they are creating the first multi-site Grace Brethren congregation in Canada. Grace Community Church of Mississauga (Bartley Sawatsky, teaching pastor) and The Village Community Church in Milton (Rob Stanley, lead pastor) have formed Renew Church with an eye to planting additional congregations, or sites, in the region. The name was the top selection in a vote by more than 170 people from both sites. The Milton campus continues to worship at the Cineplex Cinemas. The Mississauga campus is meeting at Edenwood Middle School, with a grand opening scheduled for this Sunday, February 14. In addition to Mississauga and Milton, plans are already in place for a new site at Southfields Village, led by Wade and Anna Rininger. The Riningers, along with two other families, plan to begin the new location, located north of Mississauga, in September 2016. A second new site anticipated to join the movement in 2017 is Cambridge, located about 70 km west of Mississauga. A core team, led by Armando and Odila Padovan is being formed, two additional families already part of the group. The new arrangement will allow the two congregations to operate with a shared staff, elder board and budget. A shared teaching team will prepare sermon series together, with live speaking at each site every week. Speakers from both sites will rotate between locations with those leading more often at the site where they were originally affiliated.